Let me tell you the story about the time we had a r-e-a-l-l-y slow hatch. 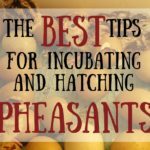 It might calm your nerves about your eggs that don’t hatch on the exact day they’re “supposed to”. Towards the end of one particular April, we set up two incubators. Trusty Homemade Incubator #1 that we’d been using since 2010 and New Homemade Incubator #2 that we’d built more recently. 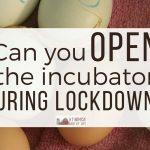 We gathered eggs from our coop for two days and set them in the incubators. 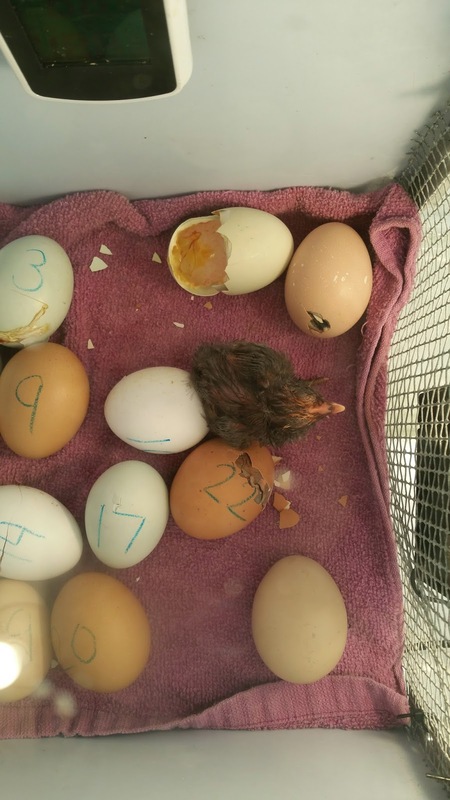 After candling at 7 days, we had 22 eggs in #1 and 18 eggs in #2. 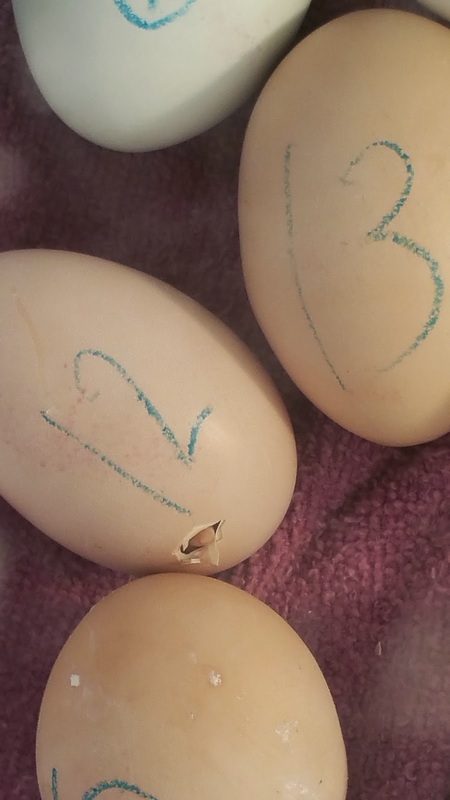 Incubator #1 was set to hatch on May 12th, incubator #2 on the 13th. So here’s how that went down. On May 12th, we had absolutely nothing happen in incubator #1. Nothing. 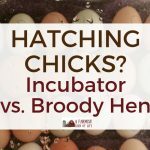 In years past I would have unplugged the incubator and called it a fail. This year I just let it run to see what might happen. Good thing, because the next day (May 13th) Incubator #2 had some pipping start. The evening of May 13th, one egg finally started pipping in #1. A day late. Throughout the day of May 13th, the eggs in #2 slowly hatched. By the morning of May 14th, we had 15 hatched chicks in incubator #2. 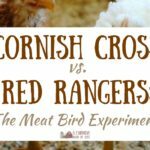 When they were dried and fluffy, we took them out and put them in their brooder. The morning of May 15th, we had 7 hatched chicks from #1 (three days late! ), and a few eggs that were still pipping. When the 7 chicks were dry and fluffy, we put them in the brooder with the chicks from #2. 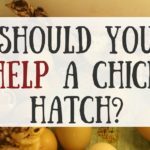 Read more thoughts about helping chicks hatch in Should You Help a Chick Hatch? Incubator #1 has always worked for us but this time (we found out) was running at 93-96 degrees instead of 99-100. There was also a crazy amount of humidity, so much that there was standing water on the bottom of the incubator (under the little grate the eggs sit on), and that’s never happened before. I don’t know if something got bumped or the thermostat needs to be replaced. Back to the workshop we go with Incubator #1. We, of course, are thankful for what did hatch. Twenty-two of the cutest little puffballs ever.